Me first? Or is moderation on? This is such a bang on post! One thing that irritates me a lot is keeping the busy status on and still chat nineteen to dozens! For God Sake what are ppl wanting to prove by showing a busy icon? I have a fren who never used to respond immediately! It was so damn irritating ki I can not tell you! I also hate random chats! I mean with ppl who don't know me! Although I liked the post and found it interesting, but I must say, "Not one of your best." Super-duper post, LP! Could completely relate to all your points... And wow, you are chatting since 2000! That's like 10 years!! Amazing!! Oh my, this is an absolute eye opener! I love all these etiquettes. Unfortunately, I only have a handful of people on my ping list. Must add some more just so I could practice some of these rules! Your points are so real. I too face such situations in my life, few people are like that. Nowadays I stopped pinging. Nice points and nice post. I liked the way you presented your thoughts. yikes, I have done some of these things:-) I used to block people but now I am upfront and reject friend request/chat request.. Its my life and I am not interested in chatting with you.. This is how our society and culture is changing. It is not restricted to chats it is crept in everyday life as well. Insensitivity is often attributed to lack of time. My yahoo messenger consists of people from my high school whom I would choose to ignore or nosy relatives who have too much time on their hands. As a rule I'm always invisible, and choose to chat with only those I want to. Besides the most irritating part about chatting is when you have to chat with two or three ppl at a time coz u forgot to be stay invisible and now have to chat with cartloads of ppl!!!! For a non chatter like me, all this is news. Thank You for showing me this side of life. I have to echo what Purba is saying:You made me feel guilty. Actually even 2 years back I liked chatting a lot...or let's say chatting with a particular person. But now I've started hating messengers. I seldom use gtalk owing to the fact that people ping me all the time. And I find it very difficult to converse with 5 people at the same time. I'd rather have a heart-to-heart talk with only 1 person. It's amazing how the internet and social media have made interacting with strangers so easy. That's one advantage of IM-ing. I don't chat with unknown people. And yeah, there have been times when I've chatted with friends, but then calls / kids interrupt and I've had to excuse myself. Looks like people are forgetting etiquettes not just in the virtual community but in real life too! I generally block people who irritate me every time they chat with me. :( I can't help it. But nice post... every point is so true....!!! i actually stopped n thot if i did this anytime .. except stopped replying wen i wanted a convo to end, m clean for rest !! I wish there were 48 hrs in a day...I never get the time to chat! Hilarious and information-packed at one go! I truly enjoyed it coz I am struggling to understand the same things that you mentioned and I wondered if something's wrong at my end...this post helped me understand that i'm actually fine:)For facebook users, I think courtesy is a word that is not always an essential one in their dictionary. I don't usually chat, but these irritants are also common etiquette,so they hold true. I think it is very rude to keep people waiting for you when you have logged out accidentally or deliberately. I used to chat a lot in 2000-01, when what you have written was true -- less chatters and the novelty of 'talking' at a fraction of ISD costs! Yeh! Congrats to Laxmi too! Well compiled. Been there, done that :) I myself am guilty of some of them and had been on the receiving end of many of these, that too, when I dont chat much !!! Hi lazy pineapple! nice name! 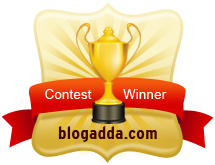 i am a new reader of urs, found u on indiblog. u have a lovely blog and btw this post is wonderful. U know i am also a victim of such so called busy ppl. Its so irritating,i can understand that. Hope these guys learn some manners! nice post dear, i am following u.
OMG! Vins your post made me see that I have been doing so many of these things without actually realising how bugging they are..wow an eye opener indeed.